TTG - Travel Trade Crusade - Travel Trade Crusaders to ride again? Travel Trade Crusaders to ride again? Organisers of the Travel Trade Crusade are saying never say never about the possibility of holding another event. More than £41,000 has been raised so far by 25 teams driving more than 1,000 miles in three days across France, Germany and Holland over the weekend. At the final night awards ceremony and party organisers said that another event could be held with 2020 seen as one potential date. Speaking to media partners TTG Media, organiser Sarah Archer said: “ We’re not going to say there won’t be another one, because we’ve been caught out before by that, but there certainly won’t be one for at least two years. In the meantime, she paid homage to everyone who took part in the event, adding: “This year’s event was amazing, with so much time and effort taken by everyone before and during the Crusade. “I’d like to tell all the competitors that they are all awesome and to say a huge thank you to them for throwing themselves so fully into the Crusade madness and raising an incredible amount of money for charity. Archer added particular praise for the winners of the various categories which saw Beachcomber Tours’ Game for It team crowned TTC 17 Champions while the Sunvil Wright Fliers were runners up. 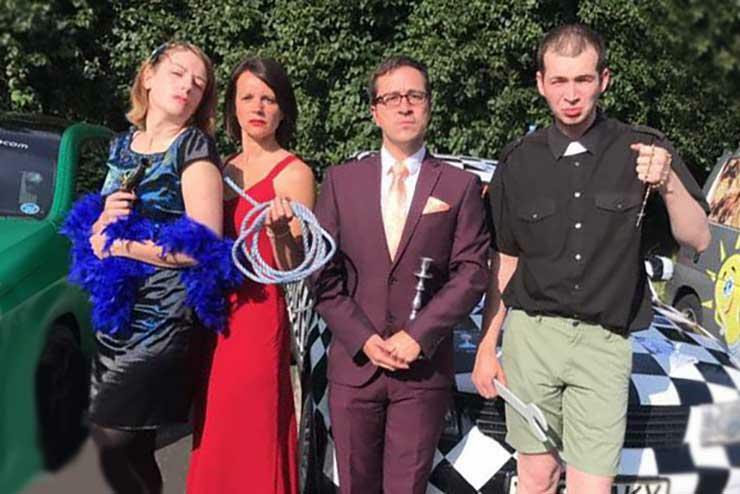 Elite Island Resorts’ Caribbean Bangers were named best team while Jayne Peirce Recruitment’s Travel Rejects picked up Best Car, only to see sister team the Mucky Pups given a special award. The day one challenge was won by Travel Stop and TravMedia’s Boaty McBoatface, the day two challenge by Kuoni Rangers while Meon Valley Travel’s Meon Medix were crowned kings of the grid at the day three Grand Prix. Archer said: “The competition was fierce and all the winners completely deserve their awards.